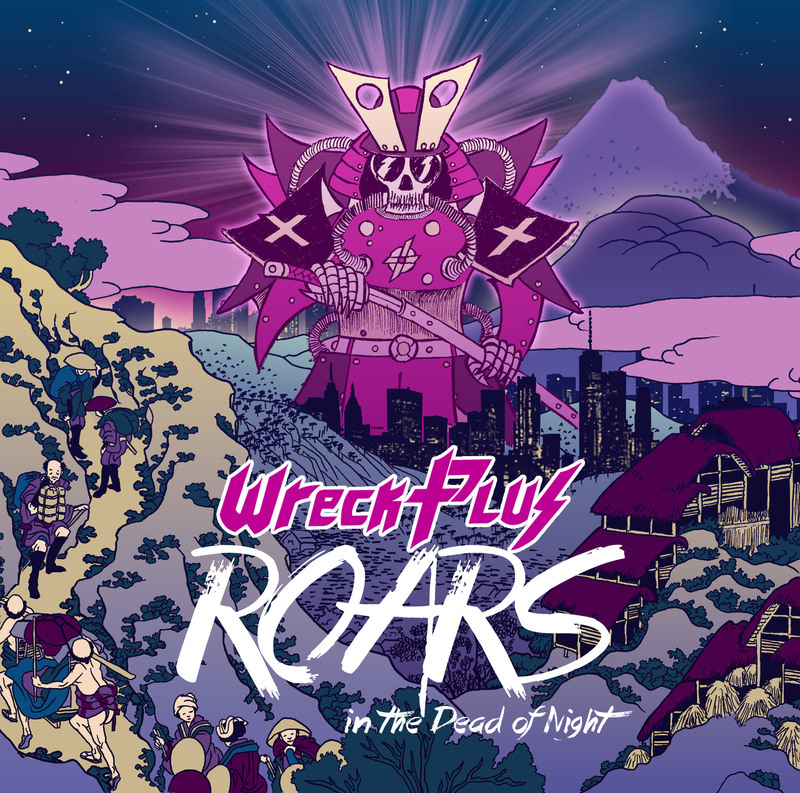 Wreck Plus is proud to announce the release of their new double single « Roars in the Dead of Night », to be released May 18th 2018. This release was created as a teaser for a full length album the band is preparing for 2019. Wreck Plus is a heavy rock band mixing the sound and vibe of the 70s with fresh and modern production. 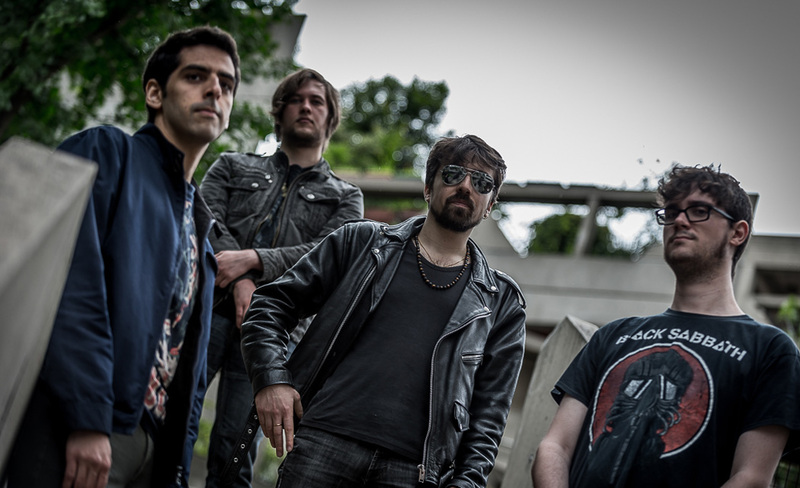 They previously released the EP « Dark Construktor » which received warm reactions from Rock Hard France, specialized blogs, and Bandcamp listeners. 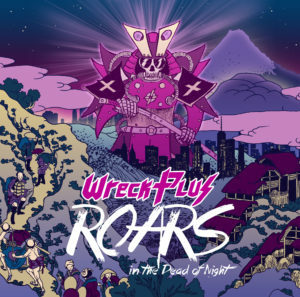 However, instead of having you read some uninteresting facts about another unknown band who thinks they are the best around, we share today a story about cats… and the new single from Wreck Plus as soundtrack. Once upon a time, the band Wreck Plus was offered to rehearse new music in a nice studio for the whole summer. Thomas, the studio manager, had only one condition. Take care of a cat. A great deal might you think. The band was able to jam heavy riffs, write new stuff and get tighter. One day, the cat went outside the studio, in the driveway where the band was taking a break. He slowly walked passed the band, turned his head backwards, and looked at them for a moment. The band looked back. The cat suddenly ran towards the driveway door and disappeared into the street. After hours searching for the cat, the band was in panic. They were calling the cat’s name “Tom! !“, “Tom, where are you?“. Yes, Tom as its owner… as if there was the big human Tom (short for Thomas) and the smaller cat version Tom. That’s kind of cute, why not. One band member came up with a strategy. “Let’s fill Tom’s bowl with cat food, leave the rolling door slightly open at catwalk levels so that the cat could come home overnight. Cats love Friskies, right?” suggested Yoann. In the evening, they went back to check if the creature fell in the benevolent trap. It worked, there was a cat. Mr. Redon, bassist and famous cat lover, tried to caress the animal. The reaction was not cute. It was violent. The cat dug its claws into the bass player’s hand, made an angry noise and ran away. In despair, the boys called Thomas to explain the situation. As it turns out, Thomas was already notified his cat was safe and sound in the janitor’s office. The band learned the cat’s name was not Tom. It was Jack. Jack as in a jack cable. That should have been easy to remember. Jack was not pleased to be miscalled for weeks which explains why he ran away. The unidentified animal we shall identify as Evil Tom was a stray cat. That explains why he had a scar on his right eye and why he looked like he was recently in a fight. The reason why we tell this cat story today is: Evil Tom embodies what this new release is all about. A stray cat wandering in the dead of the night. Instincts that were once deeply buried are coming back out. Flirting with danger. Feeling free. It’s Heavy Metal. The double single “Roars in the Dead of Night” will be released on May 18th on Bandcamp, Spotify, and most digital platforms. Just as Friskies, the formula is still the same, heavy riffs, melodic vocal lines, ecstatic drum work and monolithic basses. All of these elements are combined in song structures from the 1970s and pumped up with a modern sound production.